Most leaders don’t know they are vulnerable! 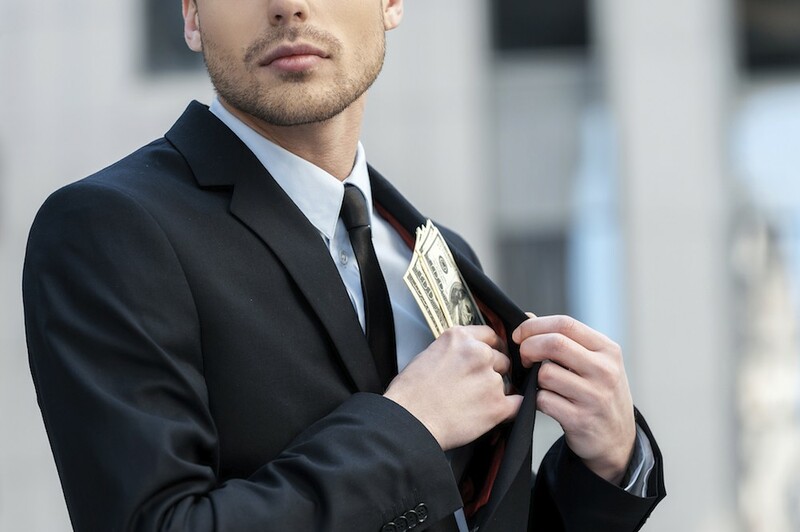 Employee fraud does regularly occur in property management across the country, however, a lot of principals and leaders are simply not aware that they are vulnerable. This article in two parts will assist you to identify key areas of weakness, what signs to look out for and what you can do to reduce the chance of employee fraud occurring in your rent roll. Employee fraud can really hit hard! It doesn’t just happen in big businesses like multi-million dollar enterprises but in small to medium businesses as well. The vulnerability in property management is that hundreds of thousands – and sometimes millions of dollars worth of rent and bond payments are processed through a trust account. The problem of risk is further compounded as cash payments are also taken (yes, cash is still being taken over the counter in too many offices). It is also interesting to note that a lot of businesses that have experienced fraud may not have reported the matter nor have taken action against the perpetrator. Sometimes it is too embarrassing, or they simply haven’t done anything because of the threat of losing their real estate licence due to poor trust accounting practices and procedures. The other issue is that the occurrence of fraud within their business can weaken public/client perception and the element of trust that is crucial to the industry. The chance of employee fraud is there for just about any business, so here are some key areas of weakness where fraud can occur in property management. #1- Lack of attention by the business owner. A lot of employee fraud happens because the principal, (the one who holds the agency licence and is ultimately legally responsible) is disconnected from their rent roll, focussed on sales and is simply not aware of what is going on with their trust account and the handling of creditor payments and receipting and the day to day running. This is by far the biggest factor we see that contributes to an environment where employee fraud can occur. #2- Trusting too much in one person. Employee fraud commonly occurs with the person who was trusted the most and who had full and total control over the trust accounting procedures. It seems that the more a person is trusted, the less checking and accountability measures are in place, therefore increasing the risk of employee fraud occurring. #3- Property Managers setting up false creditors. This occurs where false tradespeople have been set up and paid out with falsely created invoices and the monies directed into an account set up by the staff member. The biggest fraud case we’ve heard about is more than $500,000 misappropriated using this fraudulent method, with a property manager setting up false creditors. #4- Interim receipt books kept unaccountable, or false receipt books used. This weakness is common and has occurred where several interim receipt books are available in the office, or a staff member has another secret interim receipt book (bought from the local stationery shop) where they receipt payments of rent and bond to the tenant, and receipt either part or none of the monies at all. #5- Cash rent under the door now in someone’s pocket. If you’re still taking cash, this is still an issue! I was made aware of this one some years ago where time restricted tenants were placing cash rent payments after-hours in an envelope under the office front door. A property manager who happened to be in the office first each day then pocketed the cash and it only came to light when the principal noticed anomalies on their rent arrears list and enquiries were made with the tenant whilst the property manager was on leave and discovered the issue. In part two we will look at some ‘red flags’ and warning signs to look out for, and also what you can do to reduce the chance of employee fraud happening in your workplace.